Peter Werth 'Henshall' Polka Dot shirt is a fantastic Sixties Mod patterned long sleeved shirt. 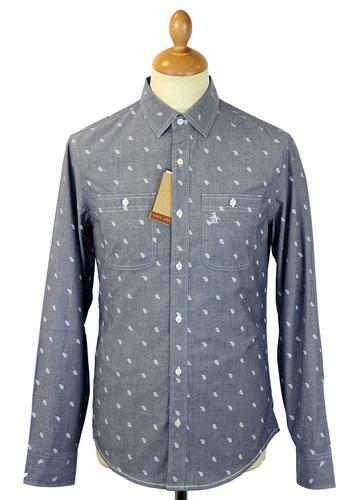 The white polka dots work really well up against the navy back drop of this vintage classic button down shirt. 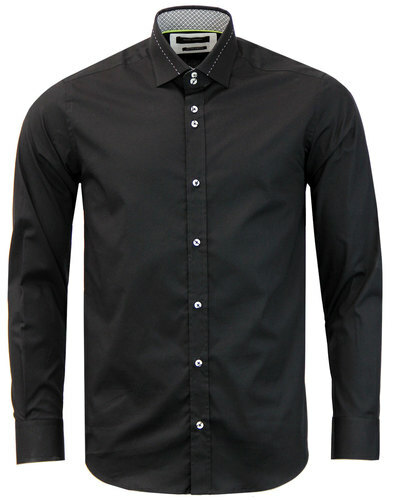 The 'Henshall' shirt by Peter Werth is a striking and bold item of clothing that can be worn dressed up or dressed down and is perfect for that spring/summer weather. By- Peter Werth. From the 40th Anniversary Collection This Peter Werth 'Henshall' Mod Long Sleeved Shirt is a striking sixties printed Polka Dot Shirt with neat button down placket on the front and folded button down collar. 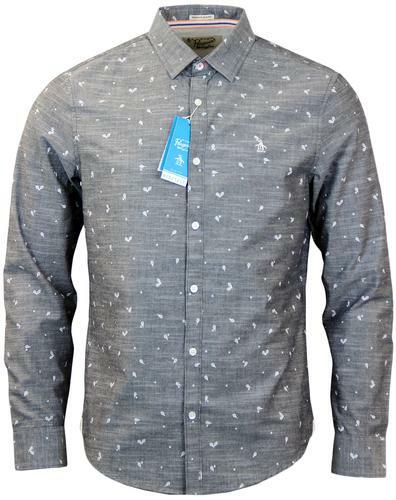 Sporting white Polka dot prints all around the shirt, this item of clothing really does take you back to the sixties. 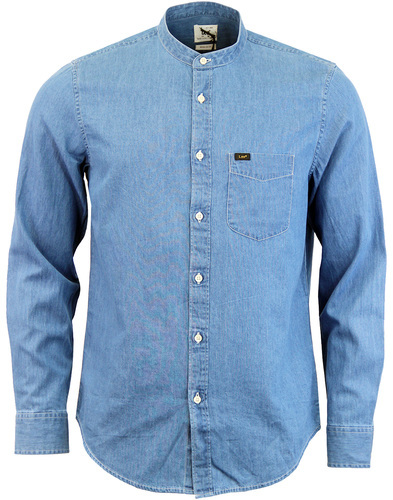 Classic cuff detail and navy buttons work well with the shirt giving a clean and sharp look. Chest pocket fond on the left hand side of the shirt - by Peter Werth. 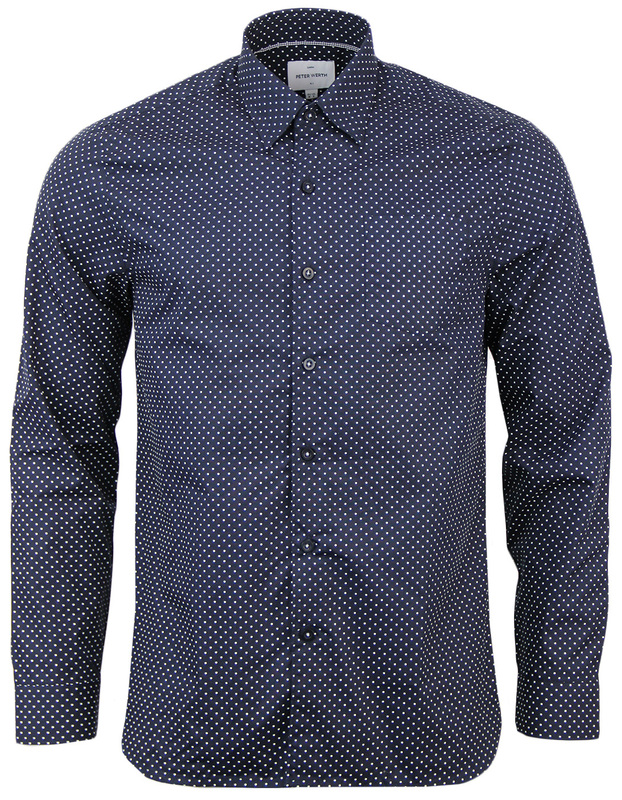 Key Points: Peter Werth 'Henshall' Polka Dot Button Down Shirt.